Just finished this build for a good friend, so here’s a few pictures before I send it off. The idea was to make a basic Hieronymus Machine for use “in the field”, suitable for agricultural work. So attention had to be paid to portability, durability, and dust and moisture resistance. This device is a modified Jensen instrument. I purchased it with no box, no labels and no dials, since I wanted to create them myself. The case is a “road case” briefcase, with particle board sides. When closed it’s fairly dust and moisture resistant. The Machine is mounted to an inner box of plywood, sitting on a rubber pad on the bottom, and surrounded by high density foam. It should stand up pretty well to external shocks. Several modifications were made: I replaced the Lucite plastic stick pad with one made from Bakelite, and wound with a bifilar coil instead of the simple loop that Jensen uses. I’ve personally had far better and more consistent results with Bakelite pads; I found the Lucite pad almost unusable. The glossy surface is just too “sticky”. People with machines using glossy Lucite pads have also reported to me their issues with getting a stick. It’s true that Dr. Hieronymus used Lucite in many of his devices, but other Radionics makers used different materials. Drown’s pads were made of koa wood, DeLaWarr used a block of wood covered with a thin, tight layer of rubber. Other makers have used metals – brass, copper and steel. Maybe it’s just a matter of personal taste. I also replaced the main coil that was wound around a wooden dowel with one wound around a clear quartz crystal. And I added another crystal wound inductively like a Tesla coil across the terminals of the output. This serves to boost the eloptic transmissions. And like the Steampunk Hieronymus Machine, there are UV lamps built inside to “cleanse” the crystals when the Neutralize switch is activated. Finally, I substituted new air-tuned capacitors that were built to mesh when turned clockwise, which is the way to make the machine with clockwise-going dial numbers. Bill used caps that originally were made to mesh counter-clockwise and removed the stops so the dial would spin in 360°, allowing the meshing to happen “clockwise” because the fins spun all the way around to the other side! I didn’t like this solution, since it would be hard to calibrate the dials to be on ‘0’ when unmeshed and ‘100’ when completely meshed. Without the stop built in to the dial mechanism, one would have to view the position of the fins inside the box to set the dial to read exactly ‘0’ and ‘100’ when perfectly unmeshed/meshed. With the stops in place, just turn the dial until it stops on each end and make those positions the ‘0’ and ‘100’ settings. Otherwise, if the set screw on the dial slips and the pointer is off, a) you wouldn’t know it, and b) you’d have to open the box and LOOK to see if it was right. This will be the first time one of my instruments will be put to use for agricultural purposes, so I’m excited to hear the results my friend will get from it. He also has some plans to experiment with using it for Alchemical work, which has me even more excited! 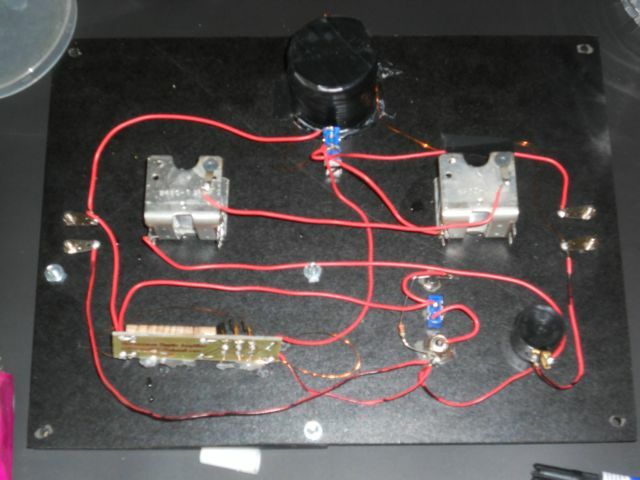 This entry was posted in Radionics, Uncategorized and tagged Eloptic Analyzer, Hieronymus Machine, Radionics. Bookmark the permalink. Dear Sir, I would like that you recommend me a radionic machine that really works. I am interested in researching this kind of device and use them in practice, eventually could I buy one from you? “Really works” is hard to define. It’s like asking for a violin that “really plays”. The device itself is only part of the overall “system”, the human operator is the other part. The skill of the operator is of great importance, and skills improve as the operator gets more and more practice. 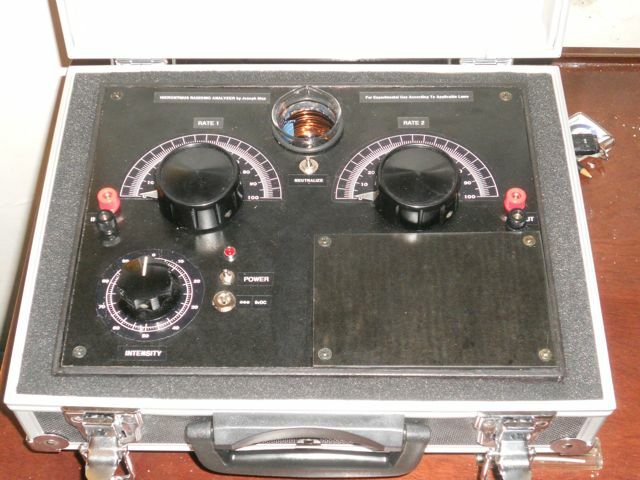 I’m afraid you will not find a radionics box that “works” without fail no matter who is using it. You will not find a violin that “plays” beautifully no matter who is playing it either. 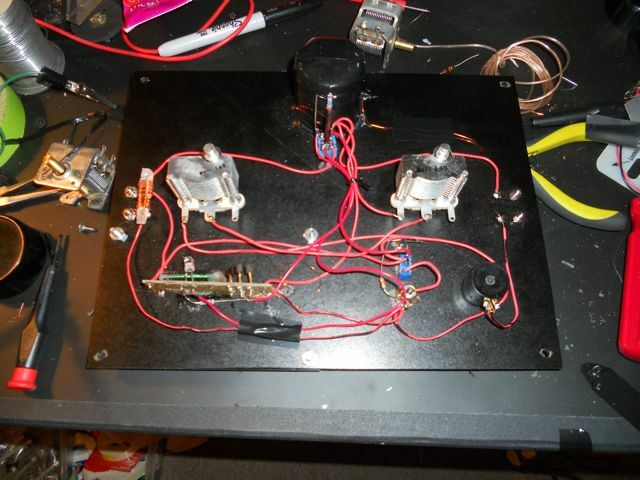 I don’t make mass-produced radionics boxes, but I do accept commissions to create custom devices for clients. They work for me, and for many of my clients. If you are interested, click on the icon to the left o this message and it will take you to my Gravitar page, where you can e-mail me. Yes I understand you perfectly. I am interested in a radionic machine with my goals set in to main divisions. In one hand medical applications, the second, spiritual, like cleansing of aura of dark energies, etc.. Do you any suggestion? what would be the cost of making such machine (built by you)? For both of those purposes I’d recommend a Hieronymus Machine, like the one in this article. It is good for both those applications. I’ll drop you an e-mail and we can discuss costs. OK. thank you, yes, please, write me, I wonder, what is the function of the quartz stone? Can the Hieronymus be use for divination too? Hello Joseph, could you send me an email?, I need to talk with you asap regarding the Hieronymus machine. Thank you.